CLOSEOUTS. The appropriately named prAna Cozy Up sweatshirt offers a supersoft fabric blend done in a fuzzy fleece, perfect for warming up chilly nights. 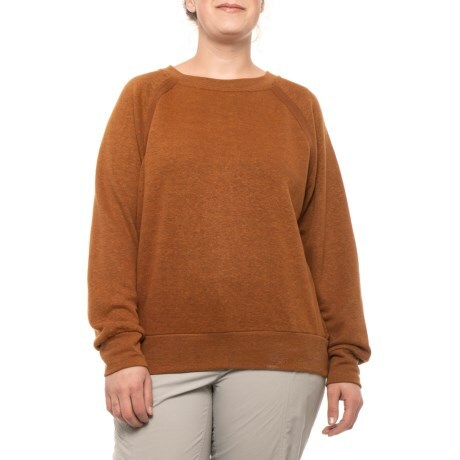 Available Colors: BURNT CARAMEL HEATHER. Sizes: 1X, 2X, 3X.